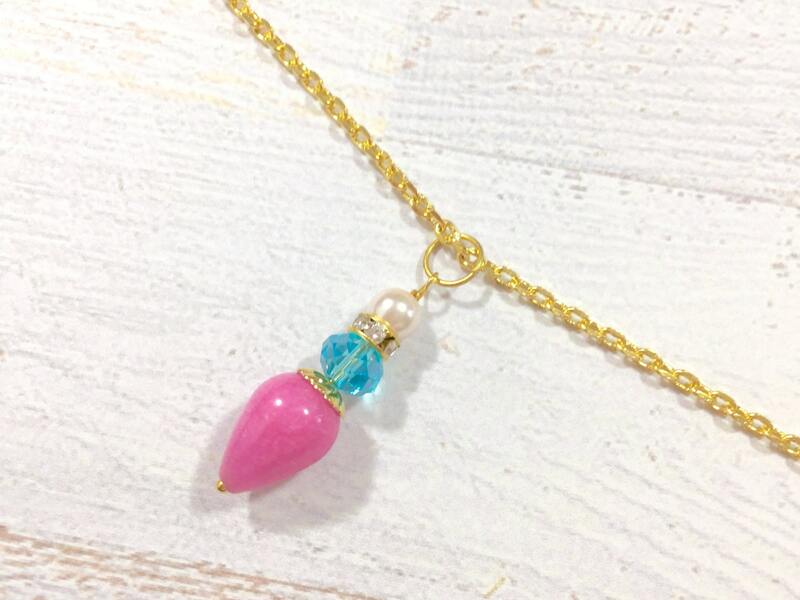 I made this pretty beaded teardrop pendant necklace with a pink dyed jade glass bead, a fluted vintage brass bead, a sparkling faceted aqua blue glass bead, clear rhinestone bead, a beige glass pearl bead and pretty gold toned chain chain. The closure is a lobster clasp. 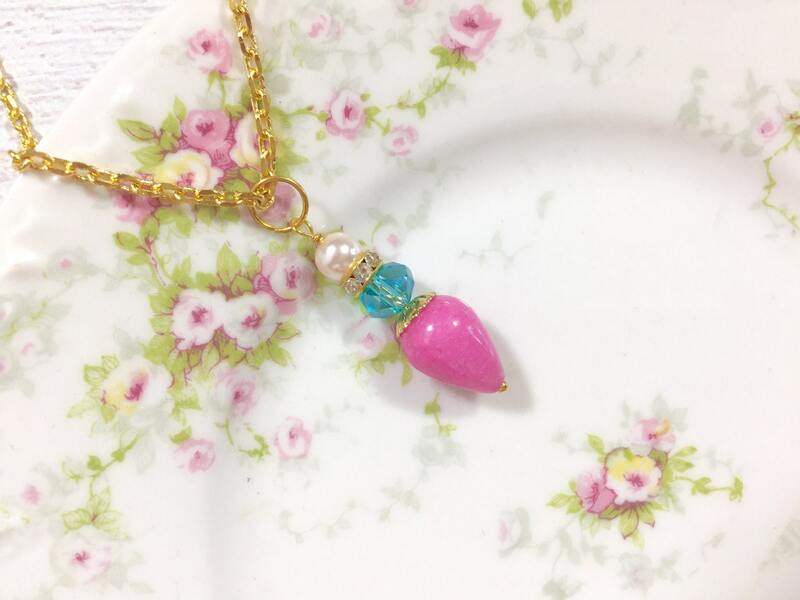 The pendant measures about 1.25 inches (32mm) in length and is about 3/8 inches (9.5mm) at it's widest point. You can choose your preferred length at checkout. 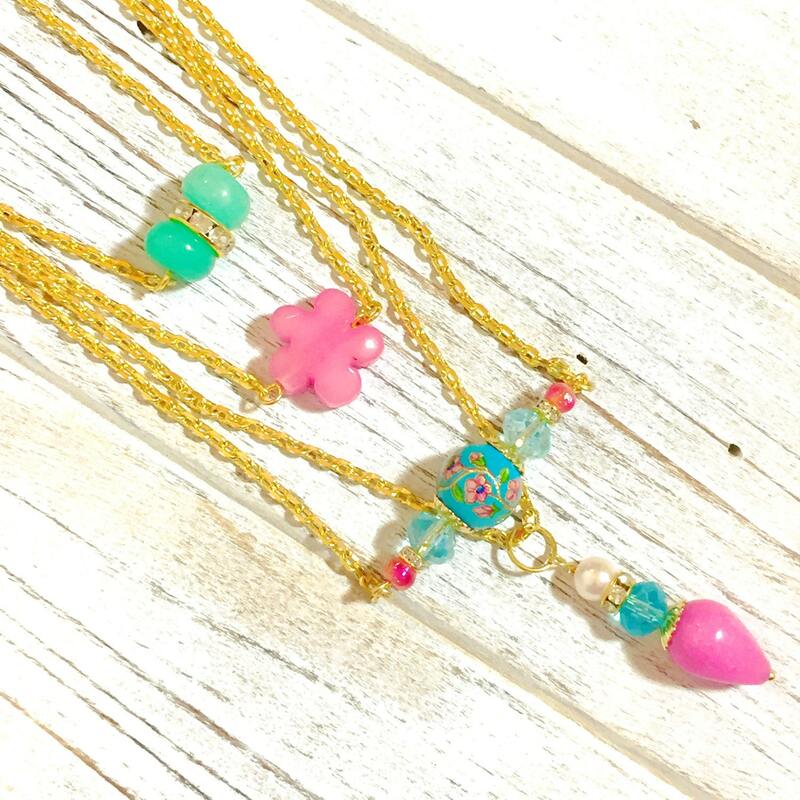 In the last photo, I have shown this choker with three other necklaces that coordinate well with it. 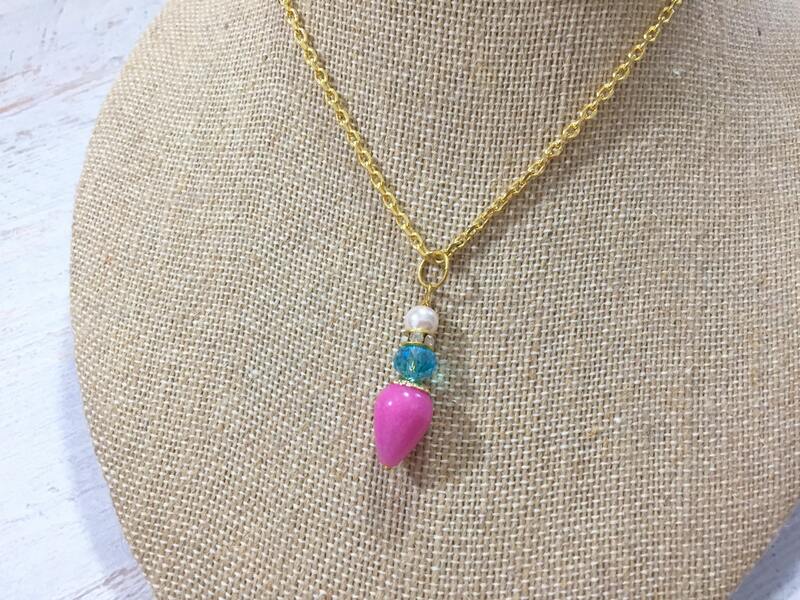 The other two necklaces are available separately.